Startupjobs.asia has been instrumental for ShopBack's hiring needs. They've given us consistently good quality candidates ranging from startup geeks to corporate types and to fresh graduates all with one similarity - they all possess that startup zeal, drive and willingness to venture into the risky business that is entrepreneurship. Southeast Asia's startup is growing exponentially and Startupjobs.asia is playing a very key role in this revolution - a big thank you to the Startupjobs.asia team from us at ShopBack and we look forward to many more gem hires! I found my co-founder using StartupJobs Asia and I am happy with the result. The pool of talents on the platform knows what it is like to work for a startup. My advertisement got 150 views and 149 of them are unique visitor. Well done! StartupJobs Asia is definitely our go to portal for recruitment, its provides us a hassle free experience in recruiting of talent! We have posted several jobs and had more than 60 applications. Out of it, we have successfully hired 3 of them to join our team. Highly recommend to others and will continue to use it! Thank you Team StartupJobs Asia! It is always a challenge for startups like us to look for talents, especially if we locate at the odd startup places like Melaka. Setting aside where to get the right source of human capital from, financial concern always play a punch. Nevertheless, the platform offered by startupjobs.asia helped us through all that. The result is excellent â within a couple of months, we have gotten more than a hundred views over our company profile, 35 job applications were sent in, and 3 candidates (2 full-times, 1 part-times) hired through startupjobs.asia. One thing I liked was their user-friendly website as well as the very responsive support team to your queries about the system. I found the experience while using their system awesome. And I would definitely recommend startupjobs.asia to people who need it. I strongly auggest StartupJobs.asia to all local startups as a must used talents hiring tool. I've successfully hired a customer service and a marketing talents, out of 21 applicants received from SUJ within 3 weeks jobs posting. Very high efficiency. The talents quality is averagely good and some of them are from international as good to build an interesting working culture. You guys well done. Thank you! You guys are so sweet that you created an amazing platform for a stealth project that I am working on. I was thinking would people even apply for this project and tried several channels and even if they apply , would this project attract the modern day talents like how the founder of Instagram Kevin Systrom found his equally smart buddy Mike Krieger or how the founder of Dropbox, Drew Houston found his crime partner, Arash Ferdowsi. I found an equally smart and capable partner in crime to chart this crazy mission. This partner is from University of Cambridge and fly all the way to Singapore to meet me! Like every explorer, we don't know what lies ahead. BUT StartupJobs Asia is like the shopping mall / bar where you can magically find your partner in crime or explorer on a crazy mission. I dare you to put up an outrageous job ad to seek that crazy partners on StartupJobAsia. Love you so much Startupjobs Asia. Startup Jobs is a must use platform to get your employer branding out there and attract top grade talent with a passion for startups. It's great to attend startup developer events and hear that talented developers out there have heard of your company! Coursepad recently hired a great senior ASP .NET developer via the platform, and the best thing is really that the talents you get from the platform are already of the right mindset --- no messy retraining required! We managed to hire a full-stack programmer through startupjobs asia. The person is diligent and humble yet skillful and determined. There are definitely gems to be found and the mindset of the people mostly different from those looking for stable job in a large corporation (which may not be stable). Startupjobs has been a great help in getting qualified candidates for me. Signup and job posting processes are easy and convenient. Managed to fill 2 roles within the first 3 weeks of job posting. Keep up the good job! I've used StartUpJobs for all my start up hires since I founded my company, from interns to full-time jobs, and have been satisfied with the quality and choice of candidates!" StartUpJobs.asia is a great professional platform to find promising candidates with entrepreneurial spirit who know what they will be signing up for in a young dynamic startup setup! Through StartUpJobs.asia, we found highly-motivated individuals who were looking for a steep learning curve in a challenging work environment. The websiteâs friendly interface and easy-to-use dashboard has facilitated our hunt for candidates with a can-do attitude and a passion to outperform. We strongly recommend StartUpJobs.asia for all startup companies. Moreover, we look forward to bring on board more enthusiastic people who are passionate about technology, health and fitness as our company expands across Asia. StartupJobs.Asia was a great platform in the public launch of the Entrepreneurial Internship for Fredrik Marine, we recieved many applicants and managed to eventually find one good talent whom, after 6 months of intensive training, has proven himself to be fully capable in leading and growing the company's operational footprint into Myanmar single-handedly. Thank you StartupJobs! We've tried many different job portals to hire for a critical role for our expansion. To our amazement, we had many applicants from startup jobs and was able to hire an A+ team player in less than a month. It's simply one of the best job portals you can find out there! Of all the different platforms for hiring that we have tried, StartUpJobs suits what we are looking for. Most importantly, the candidates that applied to our positions are likely to have a suitable mindset to work in a start up. The interface is simple and nice, and it's easy to start using." We love using your job portal (we have attracted some good applicants so far). Also, we have hired some roles successfully from your site. We always receive most applications from your portal than from other conventional job portals. 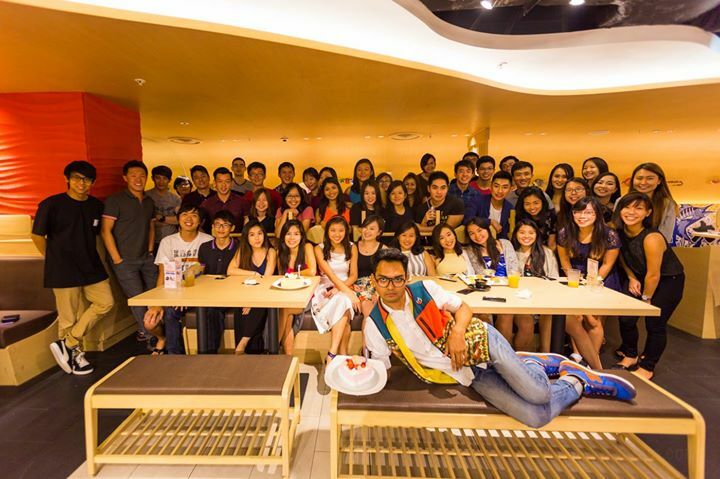 StartupJobs Asia has served as a very useful recruitment tool for BeMyGuest. We joined in 2012 and until today we are still using this platform to find talent for our company. The employer dashboard is very easy and fast to use and there are constant updates and improvements made to the platform. StartupJobs Asia has steadily delivered for us good talent, and we have managed to hire not just in Singapore but around the region. StartUpJobs allowed us an effective platform to reach candidates that shared the same mindset and principles that we do. As a small firm, it is crucial for us to find hires that have the same "startup/ entrepreneur" mentality. We tried so many different places to advertise, but only StartUpJobs worked for us. StartUpJobs Asia has surely made our talent search in this startup environment so much easier. We had successfully filled up 2 of our most crucial role at JF2, UX/UI Designer and Finance Manager in the last 3 months through StartUpJobs. We are about to close another position real soon. Keep up the awesome work, team StartUpJobs! Startupjobs.asia is such a remarkable platform. A few weeks ago, I posted a job ad with little hope for a CTO. We're all too familiar with the talent crunch in Singapore. But I found my guy through it; we hit it off immediately, and things have been looking great since. Thanks Startup Jobs Asia for the good work! Here's to the effectiveness of Startupjobs.asia! It was your platform which allowed us to bring on two amazing Marketing rockstar Interns, Jared and Anna, who are working with us full time now for the past 2 months and for the next many months ahead. Excellent service. Easy to create posts and the quality of people I've interviewed were very good. Found my coder ... Good job guys. Startupjobs is definitely one of the most, if not the most effective platforms for startups looking to grow their team. Their focused approach to cater to the startup community means they attract a growing pool of talents with the right mindset for the "startup culture". Our first job posting was a success and we have since made our 2nd post as we grow our team. Keep up the good work and hopefully the right talent resource will keep flowing through. We have recommended your company to many of our peers. Startup Jobs Asia is a star! Talent shortage is a serious problem in Malaysia and it is a constant struggle for startups and larger companies to hire . We have tried many other hiring platforms but none has consistently delivered so many eligible applicants so quickly after our job postings. This has tremendously accelerated our progress at Shoppr as the hires are already either experienced or fast learners. Good job Startup Jobs Asia. Weâll definitely be returning to your portal when our team expands again! I found a business co-founder without much hassle, thanks to Startupjobs.asia easy to use platform. Startup Jobs was the most effective in terms of getting us quality candidates. We had more than 15 applicants and we managed to fill the position in 2 weeks. Keep up the great job!